The Victoria Long Bra provides maximum support during your workout and while you’re on the go. 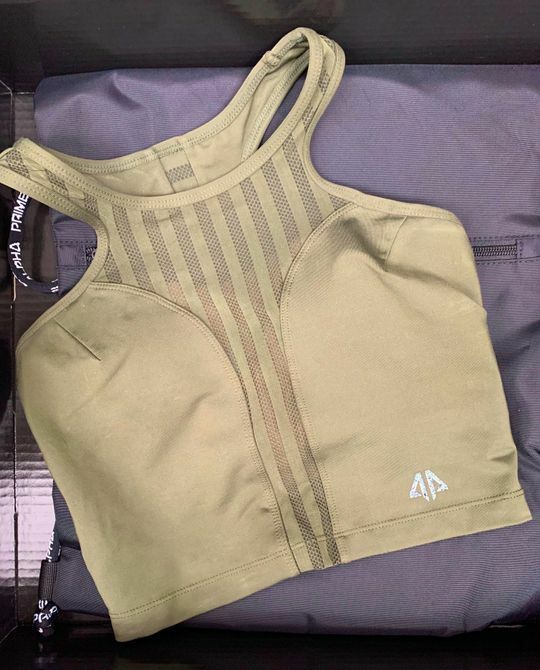 Fashion meets function with four way stretch fabric and stripe mesh panels. The Victoria Long Bra is made from prime quality polyester and Spandex with moisture wicking properties, so you stay cool and dry during your workout. This longer length sports bra is designed with shorter inner bra including removable molded bra cups for added coverage & shaping when desired. I’ve been searching for a bra that keeps my chest secure while also allowing for me to crush my half marathon training and I’ve definitely found it in this! This bra is supportive and provides enough coverage that I feel comfortable training without an added layer. The mesh is also perfect for adding a little airflow when the sun is beating down. This is by far my favorite bra and I’ve ordered a second for days when the original is in the wash! Very comfortable and good quality!! Kaye J. Reviewed by Kaye J.
Wow these pants are beautiful and of great quality! Definitely will be purchasing another pair soon! Thank you!